Naruto 637 is the next latest chapter in Naruto manga series which is expected to be released by first week of July. The battle keeps on getting intense despite the arrival of the four previous hokage and the combined strike of Team 7. Madara suddenly changed his plan while fighting Hashirama. He doesn’t need Obito anymore and he plans to revive himself using Renni Tensei. Will Madara successfully revive himself? Find out in Naruto 637. UPDATE: Naruto chapter 637 was already released. This chapter is entitled “The Juubi’s Jinchuriki”. It seems that Tobi wont go without a fight, and has deviated from Madara’s plans. This is really getting exciting guys. Kishimoto doesn’t plan to keep his readers waiting for the big event to happen long. Because of the turn of events, Madara now intends to revive himself using the Renni Tensei. Originally he plans to fight Hashirama before becoming a Jinchuriki. But it seems that Hashirama is still powerful and he could not defeat him in his current state. Madara’s revival will have an effect on Obito. I’m not really sure exactly how will it happen but I think Madara will use Obito or his body so that he can be revived. Obito might die or seize to exist during this process. 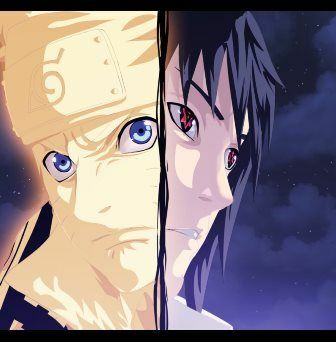 If Madara has revive himself sucessfully, he will become a Jinchuriki of the Juubi. Making him more powerful and probably unstoppable. This would make him even more difficult to be defeated, even with their combined efforts. The shinobi alliance, all of them and most probably the world would be in danger. I’m still hoping the Obito would find himself and change somewhere along the way, and probably contribute to the defeat of Madara. I’ll post or insert a confirmed Naruto 637 spoiler once it becomes available, or leaks out, or if somebody will contribute one. If you know something please do contribute to the discussion. I’ll also update this post once Naruto 637 is released. Stay tuned!